You Are Here: Home > What is the Sprinter Van Towing Capacity? From the Sprinter Worker to the Sprinter Passenger Van, the Mercedes-Benz Sprinter towing capacity is 5,000 pounds. The Sprinter 2500 towing capacity and Sprinter 3500 towing capacity are the same. Whether you’re hauling heavy machinery or building materials, this powerful work vehicle can stand up to the challenge. Not to mention, the Sprinter Cargo Van has a cargo capacity of up to 530 cubic feet with the 170-inch extended wheelbase and high roof, giving you more room to carry what you need. The Sprinter Cab Chassis is a different beast, weighing in at 11,030 pounds GVWR. It’s designed so you can build onto its flexible framework, whether you need a traveling medical station or a recreational vehicle. Properly equipped, the Sprinter Cab Chassis can tow up to 7,500 pounds. Plus, it has a payload capacity of 6,521 pounds. Load Adaptive Electronic Stability Program (ESP®): If wheel-spin, oversteer, or understeer is sensed, this system brakes wheels individually to course-correct. Crosswind Assist: This feature works to stabilize the Sprinter at highway speeds if strong, side-blowing gusts of wind are detected. 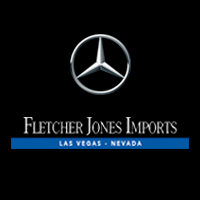 Choose Your New Sprinter at Fletcher Jones Imports! Schedule a test drive near Spring Valley and Summerlin! Fletcher Jones Imports is the home of the Sprinter Van and Cab Chassis; we can pair you with the right model for your business and help you apply for financing. Look for us 7300 West Sahara Avenue in Las Vegas, NV and learn more about other Sprinter capabilities, including the Sprinter’s family-friendly features!